Bontoc, Mountain Province – Some 27 mountain bikers from Mountain Province braved the scorching sun as they tracked a distance of approximately 20 kilometers on July 29, 2018 to usher the Tour de Mountain Province. The bikers traversed the Bontoc-Tabuk national road route that started from the Office of the Philippine Red Cross (PRC) situated at Poblacion, Bontoc to Ampawilen, Poblacion, Sadanga then back to Tabrak, Anabel, Sadanga as the finish line. Dubbed as You Only Live Once (YOLO), the activity was held to commence the start of planning and preparation of the bigger event. 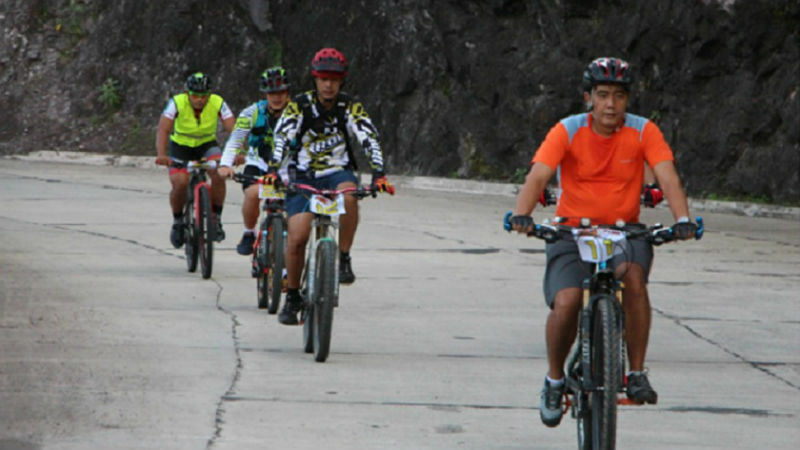 The event was coordinated by the local chapter of the PRC of Mountain Province chapter, headed by Robert Pangod, in coordination with Billy Regaspi, a seasoned local mountain biker and trail runner and organizer of several mountain biking events in the past. 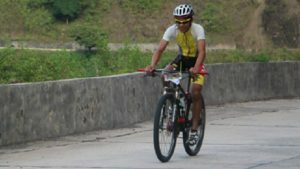 Apart from the local bikers, three lowland biking enthusiasts, including Mark Ruiz, a young budding cyclist from La Union, came to join the race and bond with the local bicyclists. Also attending were Milo Estayo and Joyce del Socorro, both from the Philippine Airforce team. Both had been winning championship medals in past nationwide biking competitions. The duo came to give moral support and tips on mountain biking during previous mountain cycling contests in this capital town. All the participants enjoyed pedaling their bicycles as they trailed the long and snaking murky Chico river, several patches of aesthetically built rice terraces, and thickly forested mountains. According to Pangod, the proceeds of this activity shall be integrated to the funds for the Blood Samaritan Program of the PRC-Mountain Province chapter. The winners of the adult male category were Leni Chaluyen, 1st, Darwin Fagsao-2nd, and Jason Bagni-3rd, while in the male junior category were Jeremiah Aswige-1st, Sean Sacgaca-2nd , and Ephraim Degay-3rd . Deidre Fabaan was automatically proclaimed as the 1st In the female division, being the only female who registered and joined the race. 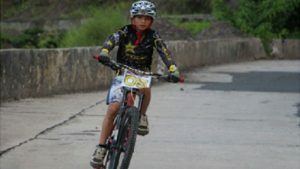 Special awards were given to Rhey Jay Cadio and Francis Degay as the youngest and oldest bikers, respectively. Meanwhile, the proposed Tour de Mountain Province will be open to all mountain biker associations and individuals nationwide. The event is tentatively scheduled on December 28, 2018. The route shall follow the western Mountain Province loop. The start shall be from Bontoc-Sagada-Besao- Tadian- Bauko-Sabangan-back to Bontoc. The funds to be generated from the sports episode shall be used for the programs in disaster preparedness and blood Samaritan of the PRC in Mountain Province. The details of this affair shall follow after its finalization.